spazzole funghiformi. Mushroom shaped brushes. 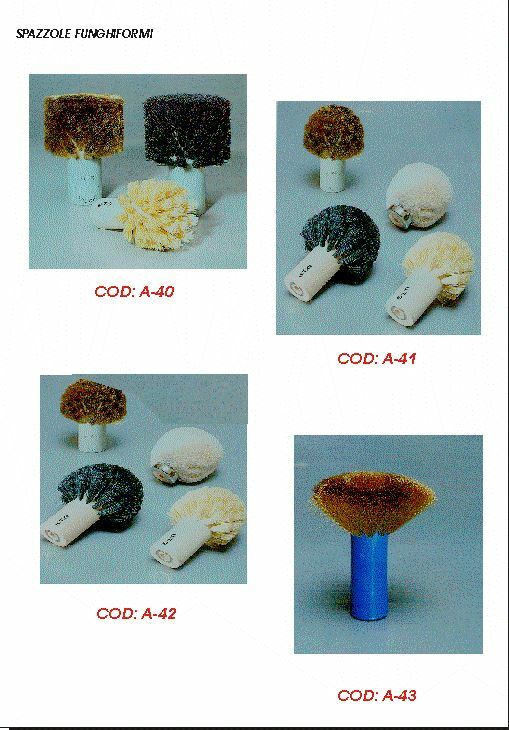 Home » Consumables » SMALL FINISHING MACHINES AND CONSUMABLES » ABRASIVES AND BRUSHES FOR PRECIOUS METALS FINISHING » Mushroom shaped brushes.